Jeremy graduated with a Bachelor of Laws from the University of Technology Sydney in 2009. He also holds a Bachelor of Arts (Honours) from the University of Western Australia with majors in Political Science and English Literature. Jeremy was admitted as a Barrister and Solicitor of the Supreme Court of New South Wales in 2010 and appears on the Register of Practitioners of the High Court which entitles him to appear in Federal Court matters. He began his legal career as an in-house lawyer for the Department of Health and Ageing in Canberra practicing in the areas of commercial law, aged care law, administrative law and information/privacy law. Jeremy joined Robertson Hayles Lawyers in April 2013. He brings to the legal team his knowledge and experience in governmental processes and in executing complex legal and commercial transactions. Jeremy works primarily in commercial and property law including the sale and purchase of businesses and real estate, franchising and consumer law, the structuring of joint venture and investment agreements and the preparation of mortgages and commercial and retail lease agreements. He also practices in the areas of Wills, estate planning and the administration of deceased estates. 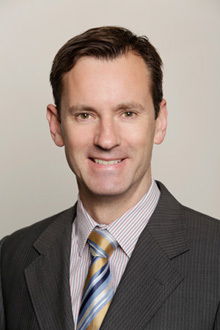 Prior to practicing law, Jeremy was a journalist for Perth’s daily newspaper, The West Australian. He has also worked as a public servant in the Department of Immigration and Border Protection and in the Department of Health and Ageing. During this period, he worked for 3 years as an adviser to the Minister for the Department of Immigration and Multicultural Affairs. For all enquiries, please contact Jeremy on (08) 9325 1700 or email him at jchitty@robertsonhayles.com.